Two years ago we introduced a new medium of artistic expression with Tilt Brush, a virtual reality tool that lets you paint new worlds in three dimensions. Since then, creators of all backgrounds and styles have created magnificent art in virtual reality, such as Andreas N. Grøntved’s Trainscape—a stunning, 360 degree landscape of curved train tracks over a waterfall— and Estella Tse’s immersive, 360 degree illustration of a butterfly metamorphosis that you can rotate and explore from your browser. 1. Create objects with new textures and volumes. We’ve added 12 new brushes that let you create different textures and volumes. With these new brushes, you can create a natural landscape or lifelike characters. One of our favorites is the Hull Brush, which allows you to easily paint three dimensional objects by simply moving your controller. 2. Get started at your own pace. 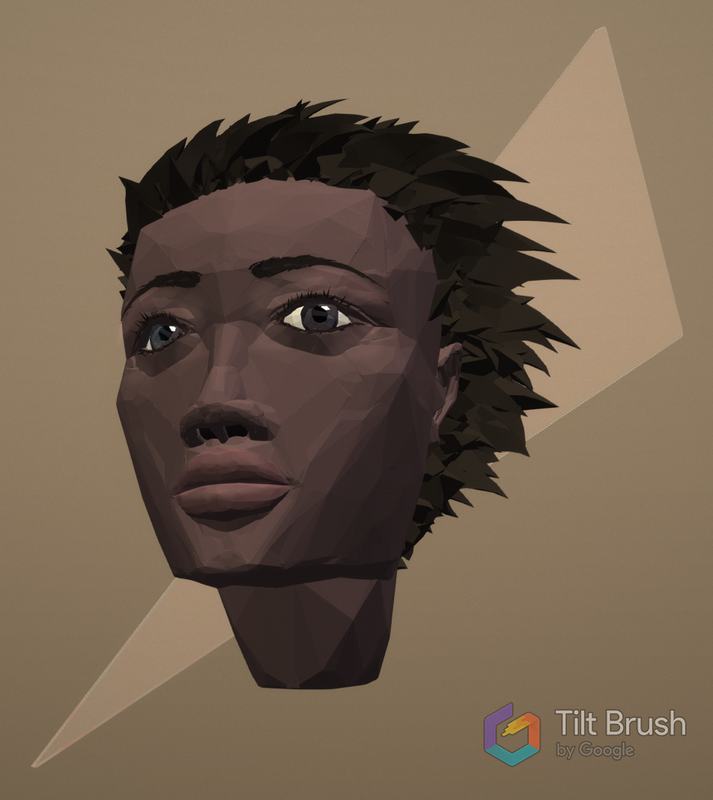 To make it easier for everyone to get started with Tilt Brush, we’ve created a Beginner and Advanced Mode. Now, when you first launch the app, you’ll start with the core feature set. When you’re ready for the next level, you can press the Advanced Mode button to access some additional features. 3. Create art in a new ambience. If you listen closely, you’ll notice our updated set of sound effects designed to enhance your creation process. 4. Keep your sketches organized. We created the Pin Tool so you can quickly lock your objects in place when creating densely populated masterpieces. When you pin objects in place, they are unselectable, making it easier to manipulate the scene around them. 5. Easily retrieve the mirror tool. If you lose your Mirror in a busy scene or wander away from it in your sketch, you can click the Recall Mirror Tool to move it right next to you. 6. Select what you want, faster. We added new selection features to save you time when editing sketches. You can now select all items in a sketch as well as invert selections that you have made. 7. Quickly edit a sketch. Iteration has always been an important aspect of the creative process. You can now quickly undo or redo many brush actions by holding the controller button until the scene gets back to the way you want it. We’d love to see the art that you create with these new brushes and features! Share your projects using the #TiltBrush hashtag, and we’ll highlight our favorites from @tiltbrush and @googlearvr.